Desert Dandelion (Malacothrix glabrata) is a member of the Sunflower Family and grows 6 to 14 inches high with 3 to 5 inch leaves, which divide into threadlike lobes. 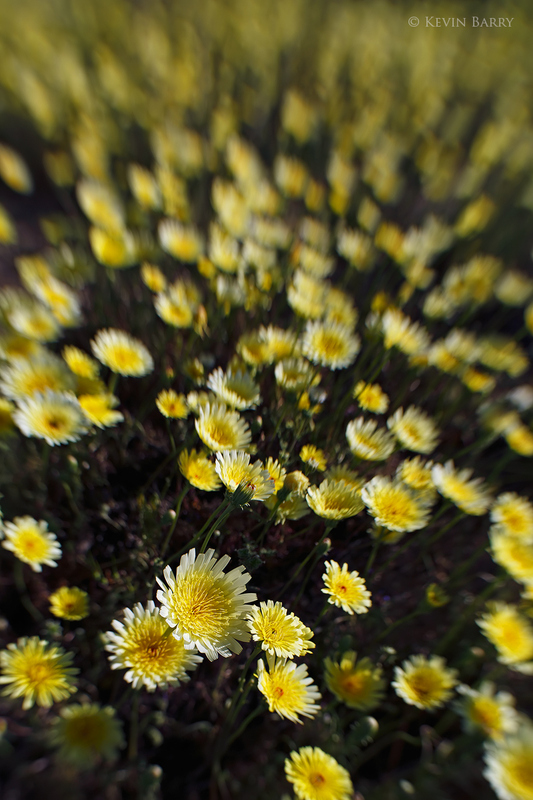 Following a wet winter, this bright wildflower will form broad, brilliant patches of gold across the sandy desert floor. Photo © copyright by Kevin Barry.